New York is always the last location of the year for auctions, and Christie’s auction will follow Sotheby’s on 2 consecutive days there this December. Sotheby’s will be auctioning their diamonds and jewelry on December 5th, while Christie’s will be doing the same on December 6th. The top lot at Sotheby’s, and one that will be making headlines for its desirability, is an extremely rare Fancy Vivid Blue diamond. The 5.69 carat emerald cut diamond has a VVS1 clarity, but seems to have the potential of having an Internally Flawless clarity if re-polished. The loss of weight for this to be achieved will most likely be insignificant, and may bring up the value even more than the loss of weight might detract from it. It remains to be seen whether the buyer will choose to do this or leave the diamond the way it is, one with an extraordinary appearance regardless. The valuation that was given for the blue diamond is a final price between $12 million and $15 million, or between $2.1 million to $2.6 million per carat. 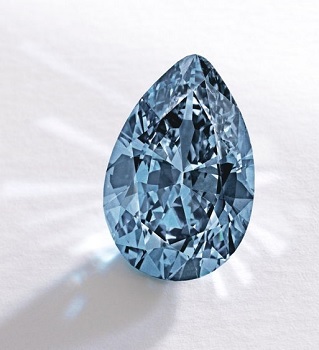 We will not ultimately see a record price paid here for a blue diamond, either in total value or in price per carat. The per carat record for the 5-10 carat size category for Fancy Vivid Blue diamonds is still held by the 9.75 carat Fancy Vivid Blue pear shaped diamond that was sold in New York back in 2014 for a staggering $3.35 million per carat. This sale started the blue diamond demand wave, as people started realizing the rarity and price potential of this color. Prices for diamonds in this category are still very strong and holding well above $2 million per carat. Supply is still very tight, as no new significant blue rough diamond has been extracted from the earth. It is basically only existing diamonds that are being offered on the market, if at all. The next highest valued fancy color diamond at this auction is the 5.24 carat Fancy Intense Orangey Pink Diamond. It is a cut cornered rectangular shape, and it has a VS2 clarity. 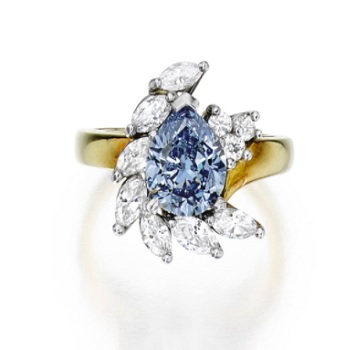 It is valued at between $1.8 million to $2.2 million in total, or $343k to $420k per carat. A lovely 2.05 carat Fancy Intense Blue diamond with a rare Internally Flawless clarity is being offered that evening as well. 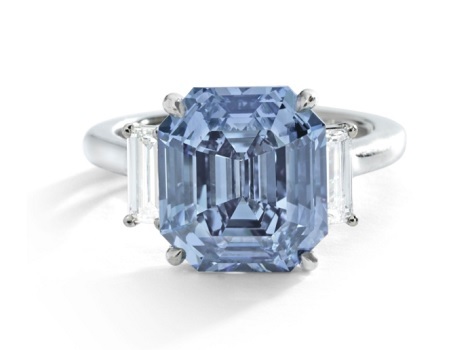 Despite the fact that it is only a 2 carat blue diamond, it’s color and clarity makes it a rare item to acquire. It is valued at $1 million to $1.5 million, or $488k to $732k per carat. 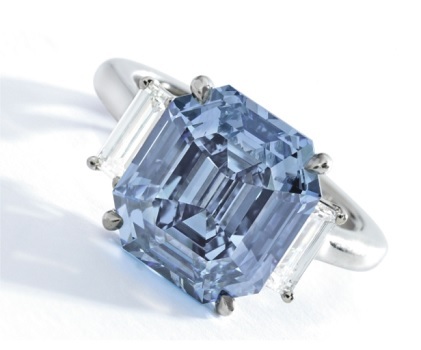 This is a modest valuation, and most likely we will see a premium paid for this blue diamond due to its rarity. 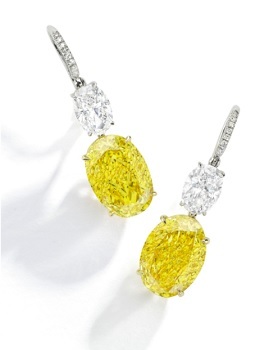 The last item for discussion is a pair of earrings that feature magnificent Fancy Vivid Yellow diamonds. They stand at 5.99 carat and 5.45 carats respectively, and both have SI1 clarities. They are valued as a pair at $1 million to $1.5 million total, or $87k to $131k per carat. This is quite a spread, and we shall see what happens that day. 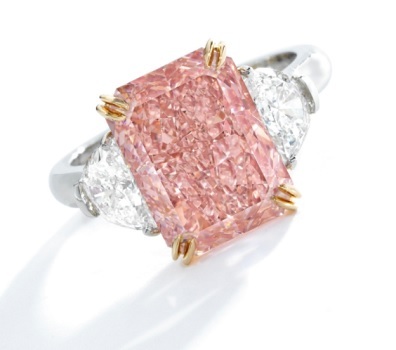 Even though the auctions that occur in Geneva in November are the highlight of the year, especially as this year Sotheby’s will be auctioning off the fascinating Raj Pink diamond and Christie’s will be auctioning off the magnificent de Grisogono diamond, both auction houses found excellent diamonds to offer in the auctions following and will wrap up the year in diamonds on a high note. It comes as no surprise that 2 of the most important diamonds of those two days are blues, as this color continues to remain in extremely high demand despite its limited supply. Once again, this proves that fancy color diamonds prices for rare and important diamonds colors continue to rise and have a momentous ROI.